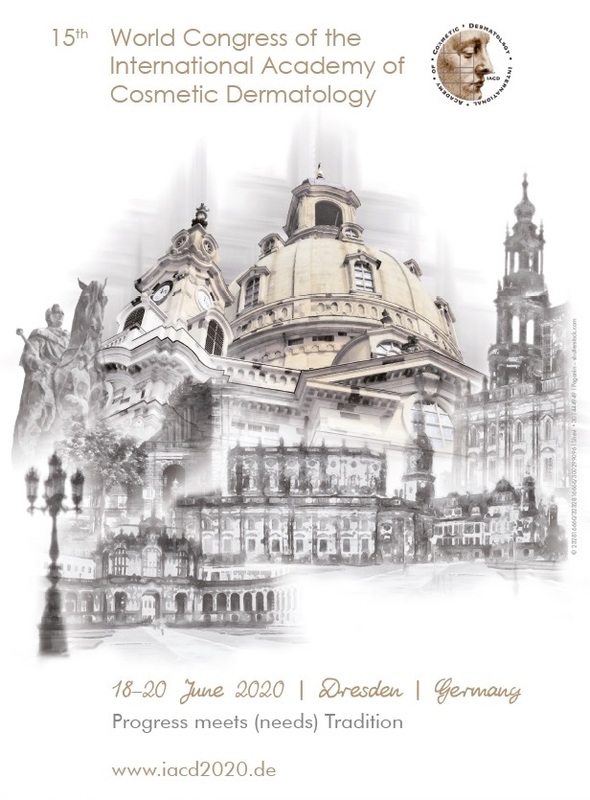 Introduction: Aims of the study to investigate the frequency and the nature ofnail disorders in children significant clinical data is available. Nail disorders although common in children in some parts of our country. This study was carried out to document the clinical and demographic pattern of nail disorders in a dermatology outpatient clinic of a pediatric hospital in Ankara, Turkey. Material and Methods: All consecutive patients a total of 3000 children from age 0-16 were admitted to dermatology outpatient clinic of Ankara Pediatric Hematology and Oncology Education and Research Hospital during January 2011 to December 2011 were studied and retrospectively evaluated for age, gender, drug use, diseases, systemic or genetic disorders and demographic features. Diagnostic evaluation results were noted and patients were categorized for demographic features and diagnosis. Results: These 133 patients (M: F 58:75, %44 vs 56, respectively) were under 16 years of age and have 17 different dermatological disorders related with nail symptoms. Fifty three of (39,8%) these patient were under 2 years of age, 31 (23.3%) were between 3-5 years, 30 (22.5%) were between 6-11 years old, 19 of 133 (14%), 2 were between 11-16 years of age. Through all of ages and independent of gender the most etiologies of nail disorders were, onychomadesis, paronychia, onycholysis, onychomycosis and systemic nail presentation of systemic dermatosis. Conclusion: Nail disorders are different in children than in adults. In our study, the first 5 years of age was found in 53% of nail disorders. Nail disorders are uncommon but may be seen as a part of a systemic disease and may be associated with cosmetic and psychologic problem. Nails which help the free movement of fingers, protects them from traumas, to be kept small objects, to be used for itching and also important for cosmetic appearance . Nail disorders may cause sociopsychological problems as this will adversely affect the quality of life. Nail disorders in childhood are mainly similar to adults and some physiological changes occur by time and disappear over years. Nail disorders may be a sign of a systemic disease such as congenital and hereditary diseases, infections and dermatoses . Distribution and frequency of childhood nail disordres differs from adults and varies according to the quotation. There are limited number of studies on this nail disorders in childhood. Nail disorders in childhood constitute a small portion of admittions to outpatient clinics of dermatology and pediatrics children and estimates a rate of 0.05-3% of all admissions . In this study, the frequency and distribution of pediatric nail diseases documented and retrospectively evaluated. During the period between May to December 2011 at the Children’s Hospital Pediatric Hematology and Oncology in Ankara, clinical records of 133 patients admitted for nail disorders at the age group of 0-16 years to dermatology outpatient deoartment were evaluated retrospectively. Our study was approved by the local ethics committee. All of the patients’ parameters for the purpose of examination and laboratory tests to help diagnose were recorded. To compare the distribution of the patients according to demographic data and diagnoses were four separate categories. Cathegorization made as follows; 0-2 years (infantile period), 3-5 years (pre-school), 6-11 years (school-age period), 12-16 years (adolescent period). Seventeen different disease diagnosed to 133 patients with various nail disorders. 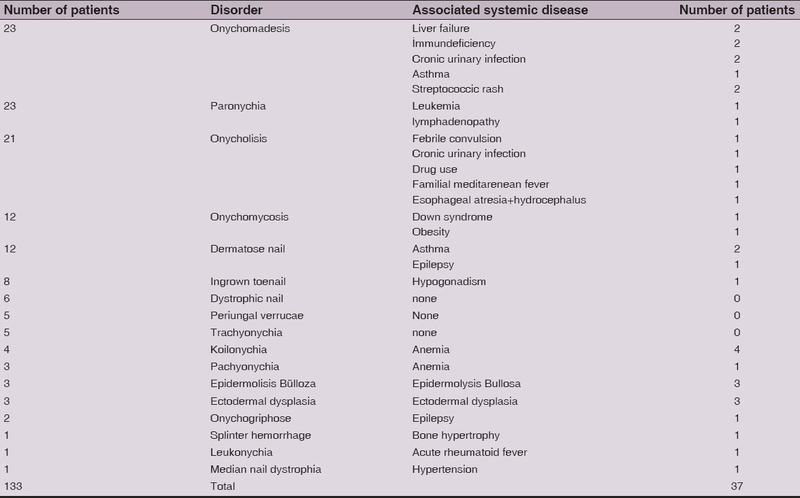 Nail diseases identified in Table 1 are shown. Nail disorders were identified and included in the study of 75 female patients (56%) and 58 males (44%). Male/female ratio was 1.2. Onikomadesis was the most common nail disorders in all age groups 17.2% (n = 23), paronychia 17.2% (n = 23), onycholysis 15.7% (n = 21), onychomycosis 9% (n = 12), dermatosis 9% (n = 12), ingrown toenail 6% (n = 8), periungal wart 4.5% (n = 6), dystrophic onychomycosis 3.7% (n = 5). Compared by gender onycholysis, onychomycosis, ingrown toenail incidence was higher in girls than boys. Paronychia, onychomadezis, dystrophic nails, and epidermolysis bullosa were seen more in boys than girls. Other diseases were as equal. In the evaluation of the nail diseases by age group, 40% (n = 53), age 0-2, 23.3% (n = 51) and 3-5-age, 22.5% (n = 50) age 6-11, 14.2% (n = 19) were age 11 to 16. In infant age group 0 -2 paronychia, onikomadezis, onycholysis, onychomycosis, age 3-5 onycholysis, paranoşi, onychomycosis, age 6-11, onikomadezis, paronychia, onycholysis, periungal warts, ingrown toenail, age 12-16, dermatosis nail, onychomycosis were frequently seen etiologies (Table 2). 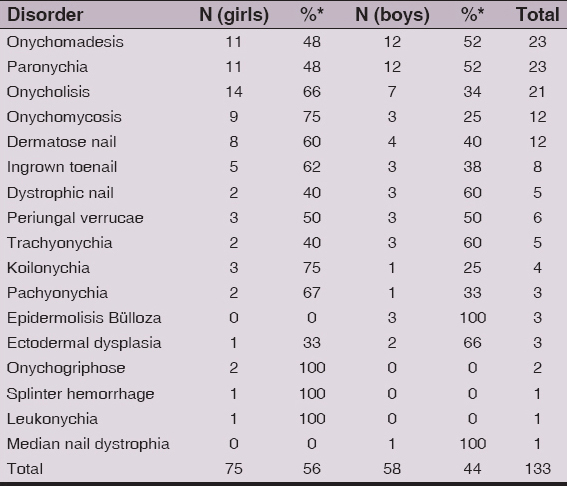 Nail disorders in children with systemic disease was diagnosed in 37 cases (27.8%) (Table 3). Although nail diseases are uncommon in children may have importance in this age group and also may be congenital or acquired. Findings of hereditary diseases of nail usually occur in childhood. A nail disorder in childhood is important because may be a symptom or a marker of a systemic disorder . A ratio of 0.05-3% infants and children are estimated to be presented with the problem of nail . The incidence varies by populations and studies [3–5]. Iglesilas et al. reported that the prevalence of nail disorders was about 11% under the age of 17 . Previous studies in our country revealed that incidence of nail disorders varies between 0.7% -2.3 [6–9]. In this retrospective study with 3000 pediatric patients, the incidence of nail disorders found to be 4.4%. One of those found in this study onikomadezis was the most frequently seen disorder (in 23 cases). Onikomadezis is segregation of proximal nail fold . Of these 23 patient had a history of immunodeficiency, liver failure, asthma, chronic urinary tract infections, such as strep rash and febrile disease had a history of drug use and associated systemic diseases. That most of the patients were in the range of 0-2 years of age, so that babies are being exposed and more susceptible to infections and diseases that may be the casuse. A study from Taiwan reported that the incidence of onikomadezis in children with hand-foot-mouth disease was 5% . Paronychia is the most common nail infection in children. Nail biting, thumb sucking habits, excessive moisture environment, and chronic irritation may cause . In our study we diagnosed 23 cases with paronychia with an overall incidence of 0.7%. One of these three pateints was due to candida, one of them was herpetic the other were bacterial. Paronychia was mostly seen in 0-2 age group and in boys. Tamer et al found a ratio of 0.5% , Nanda et al 0.3% , and Fung et al  found this rate 4.5%. Onycholysis is separation of the nail plate from its bed . Acute or repeated minor trauma, infections, systemic diseases and drug use are main causes of onycholysis . In our study, we found an incidence of 15.7% of 21 cases. We observed that onycholysis was seen mostly in 0-5 years of age and frequently seen in females. In medical history of these patients, hydrocephalus with esophageal atresia, chronic urinary tract infections, epilepsy, drug use and associated systemic diseases such as familial meditarenean fever were observed. Nail disorders due to systemic dermatologic diseases such as alopecia areata, psoriasis, dermatitis, lichen planus, such as pitting were seen only three of all pateints. Psoriatic nail involvement in children range from 7-39% . Patient with psoriasis (n = 34), even though the psoriatic nail involvement (distal onycholysis, nail bed oil stains and pitting), only seen in 3 patients (2.2%). One of the most common infections of nails in children is onychomycosis and constitute 20% of all nail disorders and has an incidence of 0.2-2.6%. Cause of disease are dermatophytes, yeasts or molds. Hands are mainly involved under 7 years of age, the feet are involved in older life [17,18]. However, thumb sucking, saliva irritation, use of the pool make a suitable humid environment for the fungus. Down’s syndrome, HIV infection, long-term use of cortisone, have a history of tinea capitis, tinea pedis are other risk factors. In this study population Down syndrome was diagnosed in one patient. Gupta et al reported that onychomycosis in children under 18 years of age had a ratio of 0.44% . In our study, the rate was 0.4% overall, while the most commonly between the ages of 0-5, and onychomycosis was frequently seen in girls more than boys. Philpot et al found that onychomycosis incidence was 0.02% . Among Turkish studies this ratio differs between 0.1-3% [13,18,21,22]. Hapç?o?lu and Inanir stated that they saw more than those with low socioeconomic status [21,22] In our study, patients with low levels of socio-economic status and more moderate onychomycosis were seen. A study with 1,588 children under the age of 16, a ratio of 9.7% found for onychomycosis incidence and we also found a similar result (9%). Ingrown toe nail is quite a common entity affecting thumbs. The curve to be settled congenital thumb nails, false nail cutting, trauma, sports activities and narrow shoes are risk factors for ingrown nail . In our study, 6%, 8 cases of ingrown toenail were seen. Tamer et al  found 0.3%, and Sar?fak?o?lu et al  reported this ratio as 2.4%. In our study we found 6 cases, 4.5% with periungal warts. Children under the age of 16 in 1588 children in Poland periungal warts found in 19.5% of their screening population . Iglesilas et al. found 6 of 100 children with warts and nail dystrophy . Dystrophic nails consists of plaque discoloration, deformation, could result from a pterygium formation and finally a permanent loss of the nail occurs. . In our study, five patients (0.2%) improved dystrophic nail due to trauma. Philpot determined dystrophic toenail in 5 of 494 school children . Tamer et al. And Nanda et al. found that the incidence of nail dystrophy were 0.2% and 0.06% respectively [5,13]. Fung et al found this rate as 0.1% . Periungal verrucae disturb the structure of the nail. This lesion grow under the nail and the nail plate to peel painful and cause onycholysis . Periungal verrucae is a complication of nail biting . Nail dystrophy or trachyonychia is coarsening the surface of the nail. The surface roughness is less than bright type and there are also a large number of pits. The exact incidence is unknown, but is most common in children . In this present study, we observed 5 patients (0.2%), found that an incidence of 3.7% of all nail disorders. Some studies found different ratios are as follows, Tamer et al 0,1% , Nanda et al. 0.07%  Sobjanek et al 2,4%. Koilonychia is lost the normal appearance and contour of the flat or concave nails. While many reasons determined the most common cause of koilonychia is iron deficiency . In 4 cases (3%) we found iron deficiency anemia. Sobjanek et al. found an incidence of koilonychia 1.22% in nail disorders . Pachyonychia congenita (PC) is an ectodermal dysplasia characterized by hypertrophic nail dystrophy . In our study, we found an incidence of PC as 2.2%. Ectodermal dysplasias primarily affects the skin and other ectodermal structures are quite large, heterogeneous group of rare diseases . 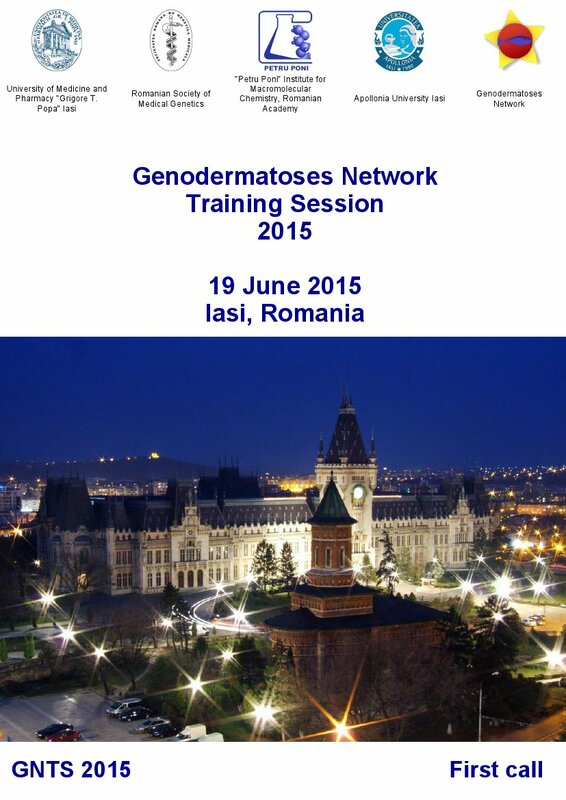 ?glesilas et al studied 100 children and found 4 (2.5%) ectodermal dysplasia cases . In our results we found similar findings in three cases, by a rate of 2.2%. Subungual lesions of epidermolysis bullosa (EB) or blisters may be in periungal location. . In our 3 epidermolysis bullosa case, there were various nail lesions. Gul et al found that an incidence of 5.5% EB in 0-1 age group presented with nail disorder . Our rate for EB was 2.2% and Iglesilas et al observed 5 patients (5%) with EB. Onychogryphosis occurs due to developmental disorders or trauma. Nails are extremely thick and curved . We had two patients with onychogryphosis. Median nail dystrophy is a rare, usually bilateral lengthening groove-like dystrophy develops a temporary condition. The exact cause is unknown, but due to a defect in the nail matrix, nail the temporary structure is considered impaired . We found only 1 case in our population with median nail dystrophy. Punctate leukonychia occurs due to trauma in fingernails in children. . We observed punctate leukonychia lesions only in one patient (0.06%). Tamer et al found an incidence of 0.1% . Splinter hemorrhage is a small bleeding islands under the nail bed presented like longitudinally submerged splints under the nail. Splinter hemorrhage may be associated with systemic diseases . We observed this lesions in one patient (0.06%) in our population. This case had also bone hypertrophy on his finger. According to our results, distribution of nail disorders by age were as follows, 0-2 age 40% (n = 53), 23.3% of 3-5 age (n = 31), age 6-11, 22.5% (n = 30), 12-16 age, 14.2% (n = 19) Can et al. found that 35% of nail diseases in 0-2 ages, 3-5 at the age of 35%, 14% of school age children, 14% for adolescents . Nail disorders are common in infants this suggests the hypothesis that the increase in the admission to family physician because of concerns about the nails. Sar?fak?o?lu et al. studied 250 infants under two years of age and found an incidence of nail disorder with a rate of 6.8% . In this study mostly toe nails were affected and mainly seen types were onycholysis, congenital hypertrophy and ingrown toenails. We detected in the 0-2 age group, 40% (n = 53) of all patients, the most seen type of nail disorders were paronychia, onychomadesis and onychomycosis. This result was mainly due to the type of our hospital which is a referral hospital and as a cause of hospitalization of children with systemic disease may revealed this findings. Systemic diseases and medications may also associated with nail disorders. Especially they make temporary pause in particular to reduce the rate of growth. Drug-induced toxic effects may lead nail disorders usually affects all the nails . In our study, 37 cases 27.8% had systemic diseases such as liver failure, immune deficiency, chronic infections, asthma, and epilepsy. We also had a history of drug use related to these diseases in these patients. Onychomadesis, onycholysis and paronychia were most common nail findings due to drugs in our study population. Types of nail diseases in childhood, adults varies according to the range and frequency. Although many studies established, investigations on nail disorders in childhood have not been fully satisfactory. Some nail disorders if untreated can lead to permanent nail diseases and can impair quality of life. Because of being a reference hospital and the population type of the patients may help health professions on this topic and also can help caregivers think in mind these etiologies of nail disorders. 1. Tüzün Y, Serdaro?lu S, Dolar N, Tüzün Y, Katogyan A, Serdaro?lu S ve ark, T?rnak hastal?klar?Pediatrik Dermatoloji 2005; Nobel kitabevi, ?stanbul: 549-57. 2. Şentürk N, Nail disorders in childrenTürkiye Klinikleri J Pediatr Sci 2005; 1168-76. 3. Iglesias A, Tamayo L, Sosa-de-Martínez C, Durán-McKinster C, Orozco-Covarrubias L, Ruiz-Maldonado R, Prevalance and nature of nail alterations pediatric patientsPediatr Dermatol 2001; 18: 107-9. 4. Wenk C, Itin PH, Epidemiology of pediatric dermatology and allergology in the region of Aargau, SwitzerlandPediatr Dermatol 2003; 20: 482-7. 5. Nanda A, Al-Hasawi F, Alsaleh QA, A prospective survey of pediatric dermatology clinic patients in Kuwait: An analysis of 10,000 casesPediatr Dermatol 1999; 16: 6-11. 6. Saçar H, Saçar T, Prevalance of Dermatosis During ChildhoodTürkderm 2010; 44: 132-7. 7. Can B, Kavala M, Türko?lu Z, Zindanc? I, Sudo?an S, Topalo?lu F, Prevalence of skin conditions among pediatric patients in the region of ?stanbulTürkderm 2011; 45: 10-3. 8. Tekin N, Sezer T, Altinyazar C, Koca R, Cinar S, Prevalance of skin disease in children in the region of Zonguldak: a five years retrospective analysisTürkiye Klin J Dermatol 2007; 17: 92-8. 9. Oruk Ş, ?lter N, Atahan CA, Gürer MA, Dermological problems in chidren Turkiye KlinJ Dermatol 2002; 12: 1-4. 10. Şendur N, Karaman G, Şavk E, Tüzün Y, Gürer MA, Serdaro?lu S ve ark, T?rnak hastal?klar?Dermatoloji Nobel kitabevi 2008; ?stanbul: 1345-76. 11. Wei SH, Hang YP, Liu MC, An outbreak of coxsackie virus A6 hand foot and mouth disease associated with onycomadesis in TaiwanBMC Infect Dis 2011; 14: 346. 12. Yayl? S, Commen Bacterial Skin ?nfectionsTürkderm 2011; 45: supp104-8. 13. Tamer E, Ilhan MN, Polat M, Lenk N, Alli N, Prevalence of skin diseases among pediatric patients in TurkeyJ Dermatol 2008; 35: 413-8. 14. Fung WK, Lo KK, Prevalence of skin disease among school children and adolescents in a Student Health Service Center in Hong KongPediatr Dermatol 2000; 17: 440-6. 15. James WD, Elston DK, Berger RG, Nail disorders Andrrews Disease of Skin 2011; 11th ed. Chine: Elsevier Saunders Company; 769-82. 16. Baran R, Tosti A, Fitzpatric TB, Eisen AZ, Wolf K, Nails. Dermatology in General medicine1999; 5nd ed. Toronto: Mc Graw Hill; 752-68. 17. Gür G, Childhood Fungal ?nfectionsTürkderm 2011; 45: 109-16. 18. Güneş Ş, Çalka Ö, ?stanbul’da ilkokul çocuklar?nda onikomikoz s?kl?? ?T?p Araşt?rmalar?Dergisi 2003; 1: 1-3. 19. Gupta AK, Ryder JE, Chow M, Cooper EA, Dermatofitosis the management of fungal infectionsSkin Med 2005; 4: 305-10. 20. Philpot CC, Dermatophyte onycomycosis in childirenClin Exp Derm 1989; 3: 203-5. 21. ?nan?r I, Şahin MT, Gündüz K, Dinç G, Türel A, Öztürkcan S, Prevalence of skin conditions in primary school children in Turkey differences based on socioeconomic factorsPediatr Dermatol 2002; 19: 307-11. 22. Hapcioglu SB, The prevalence of superficial mycosis (tinea pedis and onychomycosis) in elementary school children in Istanbul1st Faculty Med 2005; 68: 113-8. 23. Sobjanek M, Michajlowski Konczalska M, Wodarkiwicz A, Childhood nail alterations in Polish populationActa Dermatovenerol Croat 2012; 20: 95-7. 24. Raller AS, Mancini AJ, Disorders of Hair and NailsHurvitz Clinical Pediatric Dermatology 2006: 3th ed. 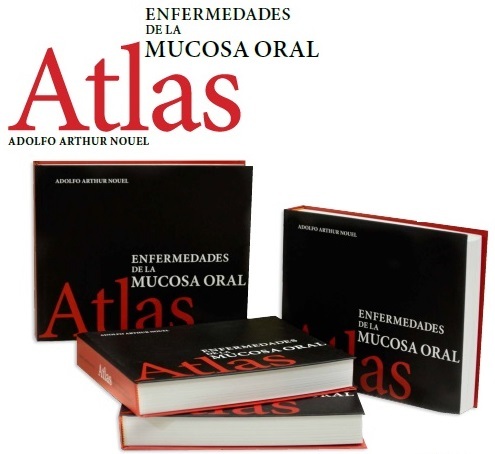 Philadelphia: Elsevier Saunders; 171-83. 25. Sar?fakio?lu E, Y?lmaz AE, Görpelio?lu C, Nail alteratins in 250 infants patients a clinical studyJ Eur Acad Dermatol Venerol 2008; 22: 741-4. 26. Sar?cao?lu H, Childhood Diseaeses of Viral OriginTurkderm 2011; 45: 99-103. 27. Tosti A, Piraccini BM, Harper J, Orange A, Prose N, Nail disordersTextbook Of Pediatric Dermatology 2002; 1st ed. Slovenia: Blackwell Science; 1491-9. 28. 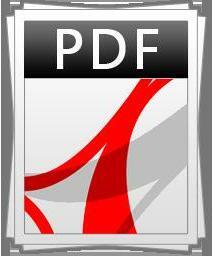 Tully AS, Trayes KP, Studdiford JS, Evaluation of nail abnormalitiesAm Fam Phys 2012; 15: 779-87. 29. Tosti A, Piraccini BA, Bolognia JL, Jorizzo JL, Rapini RP, Nail DisorsersDermatology 2003; Spain: Mosby; 1067-78. 30. Gül U, Çakmak SK, Gönül M, Kiliç A, Bilgili S, Pediatric skin disorders encountered in a dermatology outpatient clinic in TurkeyPediatr Dermatol 2008; 25: 277-8. 31. Şentürk N, Nail changes in systemic diseaseTürkiye Klin J Int Med 2007; 3: 37-42.